Could have done with: My old Raichle boots back from the dead – god I miss those boots. Easter Saturday 2012: a rather unusual one in that we were not in Scotland, which we usually are over Easter. The occasion (and the reason) was that it was Stuart’s dad’s 60th birthday and a big cottage had been rented for the occasion with most of the family present. The cottage was a bit to the North of the Lake District, but within easy reach of Keswick. It was time for another episode of ‘Wainwright Walks: the Malbec way’ with rather fewer embroidered combat trousers than the Julia Bradbury version, and rather a lot more malbec/ rioja/ merlot/ whisky (strike out drink which does not apply). Perhaps I could regard this version as closer to the original after all A. Wainwright himself was I believe fond of a couple of drinks and certainly did not wear embroidered combat trousers. (The mind boggles 😯 ). Unlike me though he probably had walking boots that don’t give him blisters. Grrr! At the time I was still struggling with a pair of Scarpas that I would eventually have to give up on as they were driving me mental. Needless to say things did not get off to the planned start… those of you that have been reading this will now know this is usually the case! A hellish journey up the M6 on Thursday night had us crashing out at a Travelodge just short of the Lake District feeling completely knackered. On Friday we were both tired and a bit out of sorts and the weather was claggy and slightly damp. The original idea of heading up Coniston Old Man didn’t exactly appeal so we settled for heading to the cottage and getting ourself sorted out… not to mention having a few pre-walk drinks. The weather forecast was pretty good for the following day and the tentative plan was to go for Scafell Pike which I hadn’t done yet and was definitely on the ‘to do’ list. Planning a walk without a fall back option is always a bad idea and the following morning several things quickly became obvious. One, the weather was rather claggier than forecast; two, nobody seemed to be in a rush to get up (including me, unfortunately) and three, Stuart was feeling unwell and not really up for a walk. Nobody was hungover though, something of a surprise after the pre walk drinks the previous evening (at least in my case) so a walk still seemed to be a possibility. It being a bit late to set out for a really big walk three of us – me, Stuart’s dad and one of our mates who by this point was Stuart’s sister’s boyfriend – decided to head for the Honister Pass and pick off some of the Wainwrights around there. High starts are always a bonus, and it was also decided to give the family dog a good run out.. even though a ‘hair of the dog’ didn’t seem actually to be required! 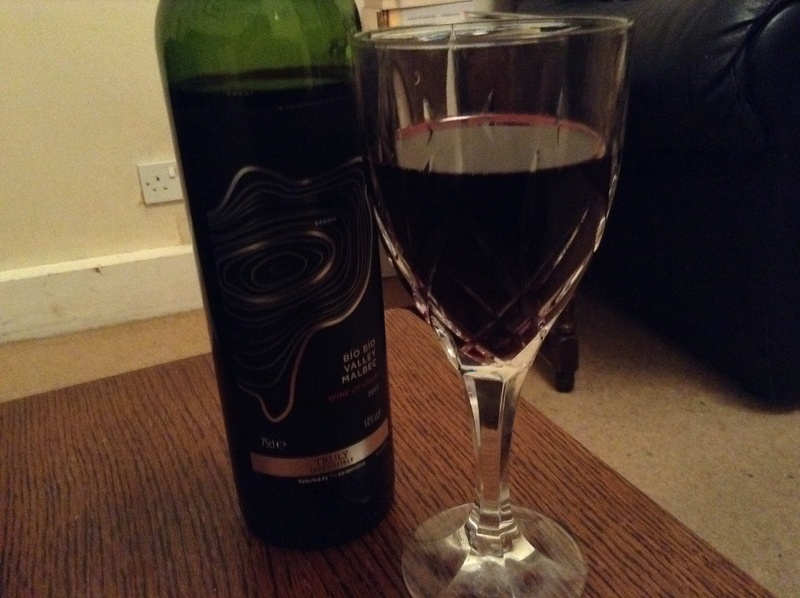 Mountains and Malbec – in a glass! Probably the ultimate post walk drink for me. Unfortunately found at the Co-op after work rather than after any sort of hill. Hewitts (hills in England and Wales over 2000ft): High Raise, Harrison Stickle, Pike of Stickle. BOGOF ticking – great! Snowy Snowdonia – above the clouds!! Time: About 5 hours including breaks – but who cares. Having started this blog on 1 January this year, so far it has contained rather a lot of old walks, with me steadily posting up some old favourites or walks that have for whatever reason been memorable, whether due to stunning winter vistas, stinking hangovers or pouring rain and wind. What it hasn’t contained is any walks this year, for the simple reason that there haven’t been any. Living in a rather flat part of the country doesn’t help with the highest part of Kent apparently being in someone’s back garden! It was well past time to sort that out, and therefore a trip to Snowdonia with my walking group was planned. Rather to my surprise, the weather forecast was actually pretty good! Weather: Glorious sunshine, cold and windy on the top. I think this really was the perfect winter hill day. And it was my first attempt at a winter walk. One of those days that you remember for a long, long time. Firstly, I’d like to apologise for the amount of photos, and ask people not to adjust their computer screen – the sky really was that colour. I don’t think we’ve ever had a day on the hills that produced quite this many good shots – or this much blue sky! This is probably because (a) we’d never been on the hills before when there had been significant snowfall, and (b) we often aren’t that blessed with the weather, to say the least. I think it’s fair to say that our preparation for this walk was probably not the best. I hadn’t done any serious walking since the previous September, except for a couple of flat walks, and hadn’t done anywhere near enough in the gym and boy did I feel it! Until the day before the walk, we also hadn’t got crampons, although we did have winter boots that we had both bought in the sales. The crampon problem was rectified by a mad dash to Cotswold Outdoor on Friday lunchtime to pick up two pairs of Grivels; the lack of fitness problem was then exacerbated by a delayed flight, which meant that we didn’t get to Stuart’s parents in Irvine till after midnight, and by the time we had sorted our kit, adjusted the new crampons to actually fit our boots (as I didn’t really want to have to do that on the hill) and so forth it was 2am. Eek! We left Irvine at about 7.15 on Saturday morning and made it to Victoria Bridge car park about two hours later to meet our mates (who had been in Glencoe the previous night), and by the time we had all faffed with kit, filled up hydration bladders, found the sandwiches, checked we all had all our gear actually with us, and worked out how to strap an ice axe to a rucksack without hitting yourself over the head with it in the process (hint: it’s best not to be wearing the rucksack at the time), it was almost 10am by the time we set off.